Koch LLC Products | Mason-Dallas Inc. 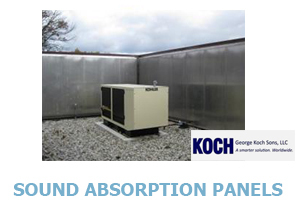 The Koch Prefabricated, Modular Thermal Panel System is an energy efficient, insulated structural panel system for the construction of industrial ovens and thermal enclosures. Sound Absorption Panels. A durable sound-absorptive flat surface modular panel placed on existing walls to reduce reverberation and lower sound reflection to control noise. The system is installed in a vertical configuration to create highly effective, architecturally compatible noise reduction solutions.